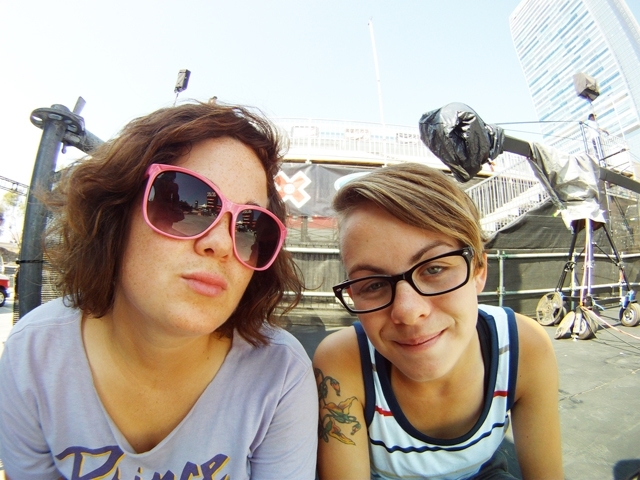 Although she wasn’t competing this year, Mimi Knoop has just shared her photos and coverage of X Games on her blog here. They’re awesome and give a great feel to the behind the scenes action and vibe at the event. Follow the link above and check out all the pics including the one below of Amy and Lacey! !